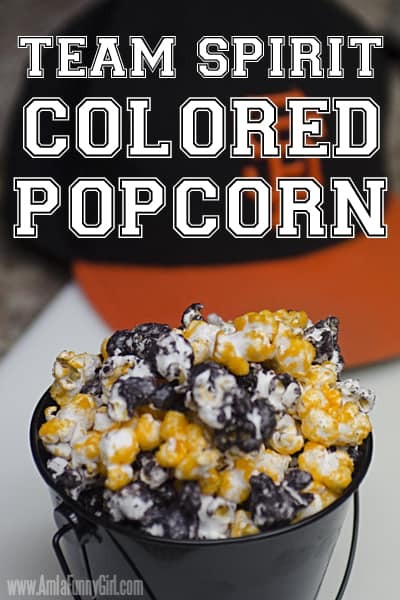 Show your team spirit with popcorn in team colors! 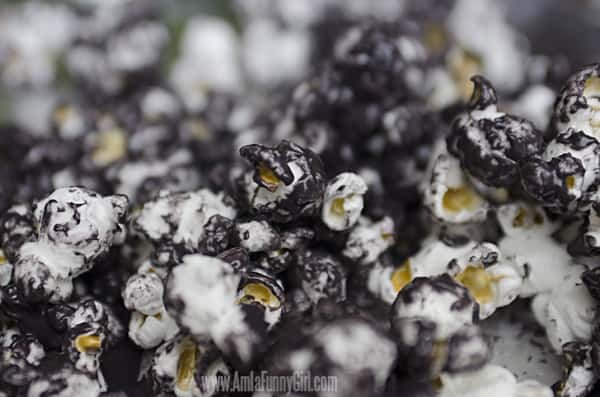 Turn the coated popcorn out onto aluminum foil to cool and set. Choose a Jell-O flavor that coordinates with the color you want; I did orange, of course. Heat until everything is blended together; it will seem slightly grainy, but don’t worry. 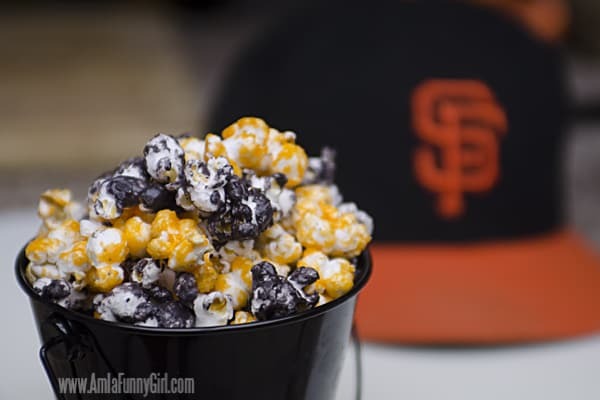 Working in small batches, put plain popcorn in a mixing bowl, and drizzle the (molten!) Jell-O mixture over the popcorn, then mix with a spoon to coat. Be sure to put the remaining mixture in the saucepan back on the heat; it starts setting up QUICK! Once coated, spread the popcorn in one layer on a greased or foil-lined cookie sheet. Bake at 250 for about 15 minutes to set coating; let popcorn cool, then break pieces apart. I used a large gallon zip bag to get a good mix of both colors, and to store it overnight, but it’s entirely possible it won’t last that long! 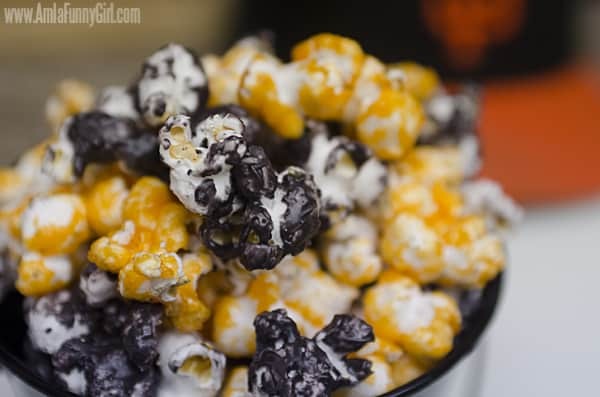 Want more awesome popcorn ideas? 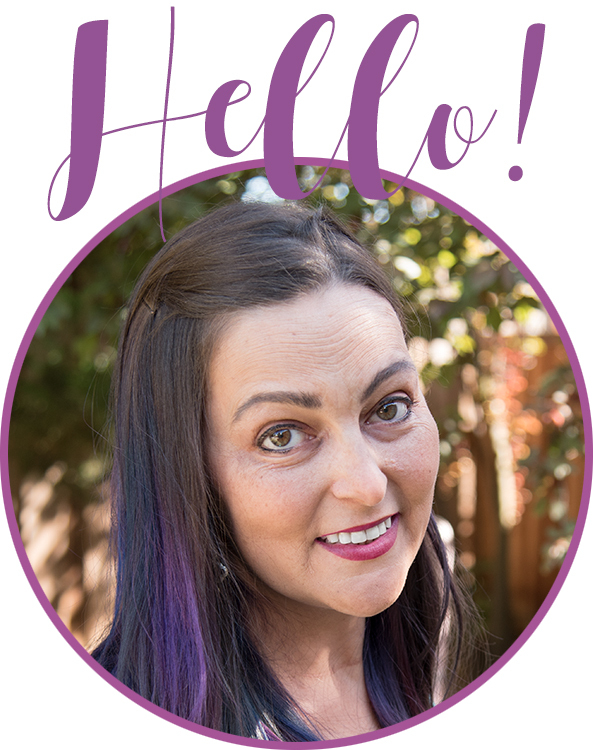 Follow my all popcorn board on Pinterest! 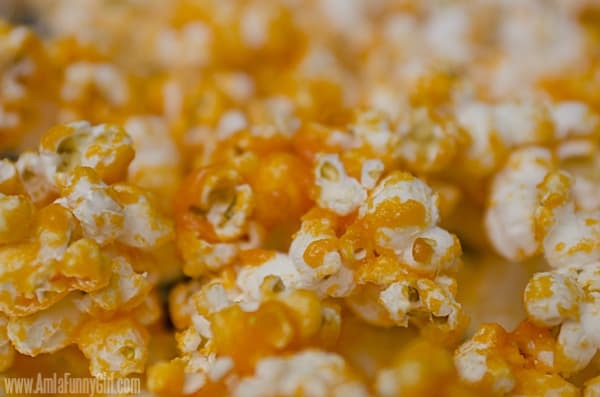 Follow Lizz’s board Popcorn but funner on Pinterest. Orange + Black! SF GIANTS!!!!!! !